K. VijayRaghavan, Secretary of Department of Biotechnology, who addressed the participants over Skype challenged the notion of ‘mainstream’ and ‘alternative’ careers in science, adding that such distinctions are irrelevant in the current era. The PI-career path has become a tradition for the lack of awareness on other diverse roles scientists can engage in.This lop-sided view on science careers is now being corrected as more and more scientists tread new avenues, inspiring others to make their own trails. Some such career options discussed at the workshop are- a start-up entrepreneur who solves relevant problems through out-of-the-box innovations; technical support specialist in a company to complement the sales and marketing departments; project manager in government or private programme; NGOs working to create a sustainable interface between laboratories and the rural population; intellectual property, technology transfer and law. Umesh Varshney, Chairman, Division of Biological Sciences, IISc said, contrary to popular view, even these non-conventional careers require intimate knowledge of basic scientific concepts, first-hand experience of solving problems, ability to manage a team – all being integral components of PhD training. So, how does one prepare to enter these avenues after a PhD? “Know thyself” – This old adage was endorsed by the event’s speakers. Talking about her experiences, Fathima Benazir, Cofounder and CEO, Azooka Life Sciences, said, all she wanted was “to keep publishing in higher impact journals”, until a friend asked her, why was she working hard on discoveries, only to bury them in books? This question eventually led her to develop a product from long-forgotten observations made during her PhD. Today Azooka Life Sciences is the only company in the world to produce a food-grade DNA staining dye. Good riddance EtBr! Benazir is convinced her start-up experience has been more satisfying than her stint in the lab solving complex, esoteric problems. A similar realisation propelled Swati Subodh, to step out of the confines of “air-conditioned labs” towards building bridges that directly transfer the fruits of scientific labour to underprivileged people. Her brainchild, IMIB (1 Million for 1 Billion) foundation, works across scientific and engineering disciplines to make effective health care accessible to the rural population. Here again, self-realisation – knowing what she wanted to achieve with her degree- was her first step towards a paradigm shift in her career. Another speaker, Rajesh Nair, CEO Basil Biosolutions, talked about how sales and marketing can be an interesting path for those with good people skills. As he concluded his talk, he was able to convert a few audience members, from being not interested in sales to wanting to pursue it as a career. Lipika Sahoo, CEO of Life Intellect and an alumnus of Division of Biological Sciences, IISc, talked about the various aspects of intellectual property and the need for scientists to engage with it. In an insightful lecture, Shyam Suryanarayan, Founder and CEO, C:\Drive, talked about the skills industry looks for when hiring people branching out of academia. He advocated an “inside-out” approach to looking for jobs. Identify your area/organisation-of-interest. Research this non-academic field, like you, would a problem in the lab. Who are your potential employers? What skill-set do they require in their employees? How would you fit into their team? Once you have done your homework, go ahead with building connections with experienced people on professional platforms; attend seminars/workshops for exposure to relevant skills; engage people by requesting for “informational interviews” on how to make a headway into a new field. All these steps form the core of career preparedness; to begin well is a job half-done. The final speaker, Taslimarif Saiyed, CEO, C-CAMP, summed up the common message that each talk relayed- irrespective of whether you are a fledgling or a seasoned scientist, firmly rooted in academia or elsewhere, use your scientific training to innovate, collaborate and challenge yourself by moving out of your comfort zones to achieve what you dreamt of at the dawn of your career. He added, that now is a great time to get into science entrepreneurship as there is plenty of government support available for such ventures. 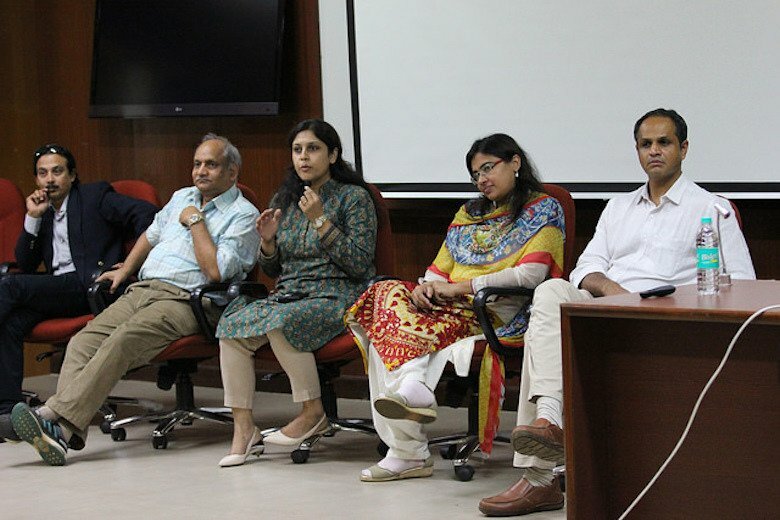 As a postdoc at IISc facing the dilemma of how to carve a career in science away from the bench, I found the workshop to be a revelation of sorts. Now, the future doesn’t seem so uncertain after all. I can already envision a time when many of us would look back on this workshop as the catalyst that kick-started our journey towards ‘self-discovery’.